Health: How do we optimize performance for our heros? In the typical operating room, the dominant voice is that of the experienced surgeon. The typical surgeon is male, so surgical products are designed to meet his needs. However, times are changing – 50 percent of all medical degrees today are earned by women. 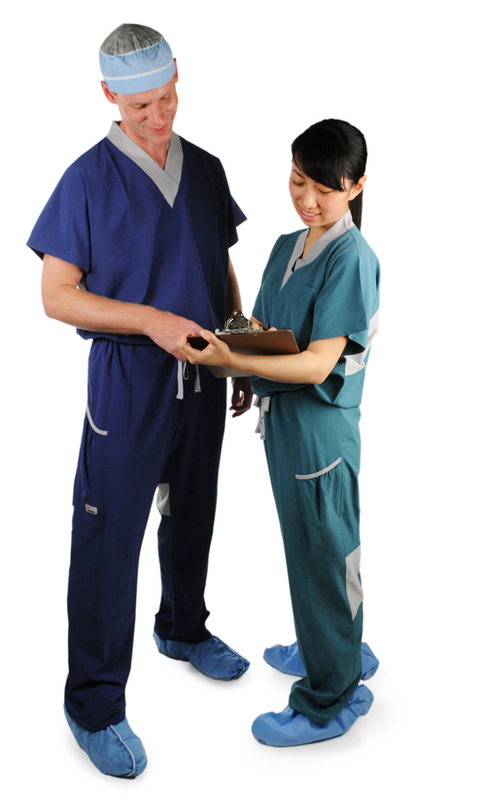 What’s more, 70 percent of workers in the operating room are actually women, so traditional unisex scrubs designed for an XL-sized man don’t effectively serve the female majority. Women have wider hips, typically shorter legs and rise, and since scrubs are worn in lieu of all other clothing, they need coverage across the chest to prevent unwanted frontal exposure. Instead of designing for the male body, we turned it around and designed for the female body. After all, the female form has more curves to contend with and more variety in body type. Our approach considers women, with their demanding and complex physical needs, as a filter for good experiences – for both genders. We made improvements such as collars that don’t blouse open, a waistline and inseam that adjust for male and female bodies, angled pockets that prevent tools from dropping, breathable mesh panels for circulation and adjustable leg lengths. They are durable and stretchable and no longer look like pajamas. In the end, our design for Cardinal Health helps hospital workers look more professional, keeps uniforms in use longer, and improves surgical performance — all while making male and female employees equally happy.